Papua New Guinea is taking steps to revoke the PNG passport and APEC card of controversial Indonesian businessman Joko Tjandra aka Joe Chan that was issued illegally by PNG authorities. Prime Minister Peter O’Neill told Parliament Tuesday that people involved in facilitating the processing of his passport would also be disciplined, removed from the public service and face criminal charges. PM O’Neill was responding to questions from Northern Governor Gary Juffa who made reference to an Ombudsman Commission report that was tabled in Parliament in the last sitting naming public servants and politicians who facilitated the illegal issuance of the PNG passport. “When this person of interest came to PNG illegally and was accommodated illegally and was doing business illegally, we have a report here produced by the Ombudsman Commission and given to us on the matter of Joko Tjandra who is listed on the Interpol website as a wanted fugitive,” Juffa said. 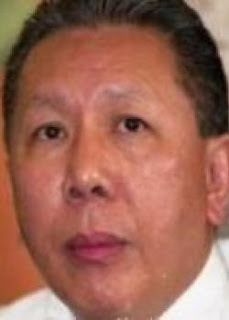 He said according to the Ombudsman report, the Department of Migration and Department of Police had facilitated the unlawful issuing of a PNG passport under the name of Joe Chen under a different birth date of 27-09-1963, against a Joko Tjandra that entered the country with a passport that listed his birth date as 27-08-1951. Juffa asked the PM what steps were being taken to ensure this did not happen again, whereby a person comes into the country, who is a fugitive, and obtains a passport illegally and then he is given an APEC card. He asked what would happen to the people who committed the crime. “Are they going to continue working with the Migration and Police? And where is Joko Tjandra now? O’Neill said the government had taken note of the Ombudsman report and is proceeding to taking steps including the cancellation of the passport and the APEC card. “Let me say that our processes are there. It is the people who are implementing the approval process that have abused the process,” O’Neill said. “I can assure you that those people who have been named, I have given instructions that they will be disciplined. They will be removed from public service and if there are criminal charges that need to be laid, it’s up to the police to determine what sort of charges that will be laid and they will be dealt with,” he said.